Who knew that 'British films, featuring a single character driving around in a car, which ought to be really boring but are actually oddly gripping' would become a Thing? 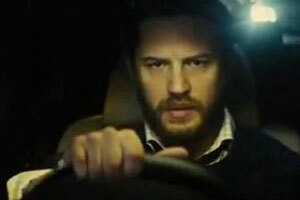 But bumper to bumper with Under the Skin we have Locke, in which Tom Hardy drives to Croydon and talks on the phone a lot. Hardy plays the eponymous Ivan Locke, a slightly dour Welshman who has constructed for himself a morality and sense of self-worth and purpose as rigid and unbending as the concrete he works with. The foreman of a huge, multi-million dollar construction project, on the eve of the biggest concrete pour in Europe (outside military installations – you learn a lot about concrete watching this film) he gets into his car and drives away. For the next hour and 25 minutes, we watch this composed, quick-thinking, practical, occasionally visionary, fiercely determined man crumble completely on the inside, while never once seeming to lose his cool to the cast of characters who call him during his journey. Yup, that's all the film consists of: Tom Hardy talking on the phone. And he isn't talking to gangsters, or kidnappers, or drug dealers. No-one's trying to blow him up, or shoot him, or arrest him. He doesn't have to escape or evade the law. He just has to keep driving, and while doing so, sort out the stupid mistake he has made, which, like everything in his life, he is determined to fix through sheer force of will. Unexpected Welsh accent aside, few actors could convey this as sincerely and compellingly as Tom Hardy, who carries the entire film effortlessly on his woolly-jumpered shoulders, albeit with sterling bluetooth support from the likes of Olivia Coleman, Ruth Wilson and Ben Daniels. 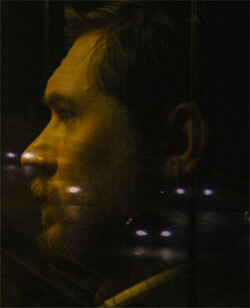 Brave, uncompromising and, I imagine, a total ball-ache to film, Locke is a fascinating character study. If you're looking for a 'ticking clock' thriller like Buried you may be a little disappointed but if you're interested in people, relationships and motivation then you'll be engrossed by this forensic dissection of what makes a man tick and what can destroy him.